In this post we will take a look on working with Kendo UI Mobile buttons and how can we change their icons and styles. You can set icons of buttons as well. Icons can be set by setting data-icon property. You see there are icons rendered on button now. Kendo UI provides you set of icons out of box to use. You can use any of above shown icon by setting data-icon attribute. If you want you can create custom icons and set as button icon as well. Apart from above icons Kendo UI provides you other set of icons as well. You can use them with their Unicode. So let us say you want to use telephone icon as icon of button then you can use that using the Unicode. 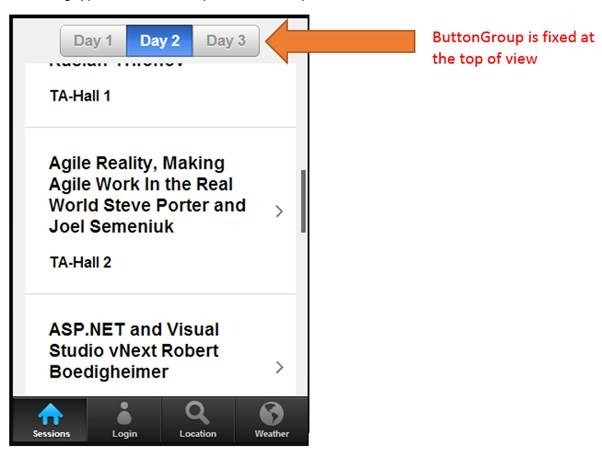 In this way you can take use of Kendo UI Mobile Buttons in your application. I hope you find this poste useful. Thanks for reading. How to fetch Data from Telerik Everlive using REST API in a Web Application. In this post we will take a look on fetching data from Telerik Everlive using REST API and use it in a web application. 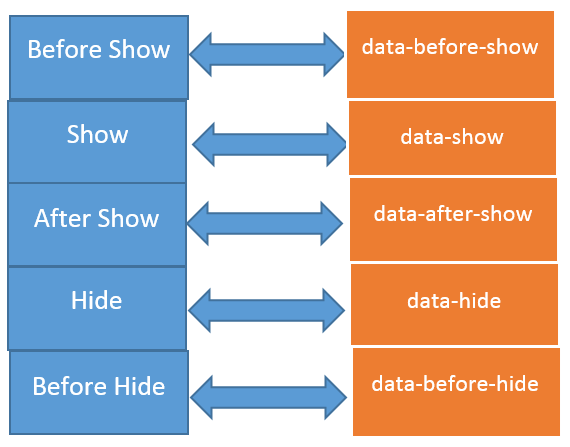 In web app we will be using Kendo UI DataSource to bind data to Kendo UI web ListView. 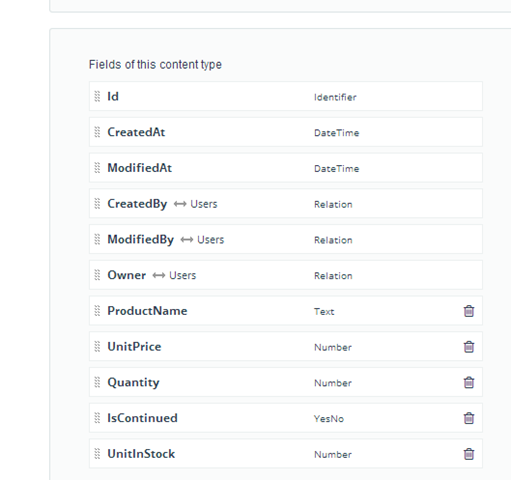 Okay so to keep it simple, I have created a simple Content Type Products in Everlive project as below. Permission of this Products content type is set as Public. Content type name should be appended in URL. In this case we have appended Products (name of content type) in URL. You need to set two callback function. One Callback function will be called on success and another on error. So data can be fetched using below code. You may want to notice that you need to replace yourapikey in URL with API key for your Everlive project. BindDataToListView is callback function and this function will be called on success fetching of data. In this function you need to create Kendo UI DataSource from returned data. Before we do that let us examine what value we get from Everlive server. Again in Console log you can view that Kendo DataSource has been created from returned data. In this way you can fetch data from Telerik Everlive using REST API and use in Kendo UI Web. I hope you find this post useful. Thanks for reading. Congratulations to the winners. We will be contacting you shortly and we will ship your t-shirts. 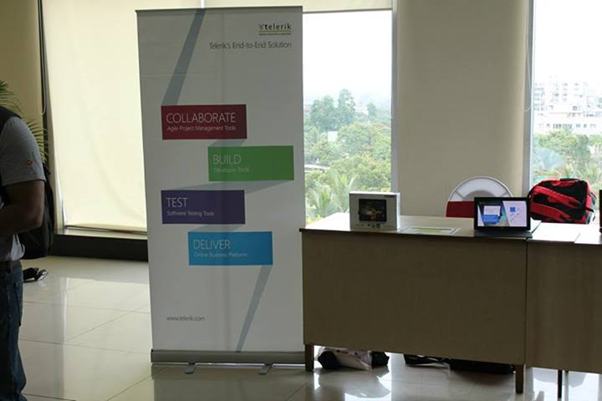 On 23rd May 2013, we at Telerik India hosted a webinar on “Building Windows Phone 8 Apps using Kendo UI Mobile”. 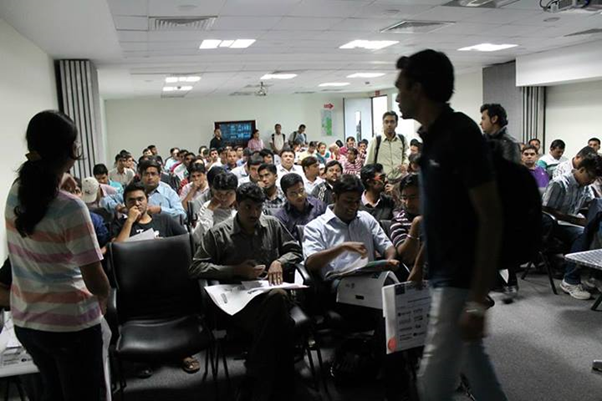 This webinar received great response from audience and we had around 150 developers attending webinar. Participants were very active during webinar and there were a flood of questions around Windows Phone 8, Coredova and Kendo UI. We learnt and experienced that how easily a developer could work with all complexities such that consuming services, navigating between views, working with layouts rendering native to WP 8, adaptive rendering etc. using Kendo UI Mobile. 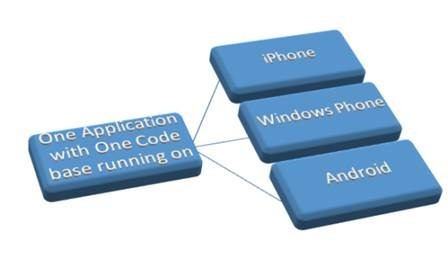 If you create a Hybrid App for Windows Phone 8 using KendoUI Mobile and Coredova then with minimal or zero effort you can publish same app as iPhone app and Android App. As you can see in recorded webinar that we focused on writing codes and shown you how easily and quickly a Marketplace ready Windows Phone 8 app can be created using Kendo UI. We had promised that we will be giving away 2 .NET Ninja T-Shirts as a webinar give away. The webinar was an aim at letting you the user know about Kendo UI Web framework and how Kendo UI can work with ASP.NET MVC and improve the user experience of ASP.NET MVC applications. As you know ASP.NET MVC is a pattern based web application development stack from Microsoft and allows complete control over the mark up that gets generated. This means that there is no server control or control state or view state to maintain. You are left with plain HTML markup to play with. Through this webinar – I showcased the use cases of how ASP.NET MVC Wrappers allow you to integrate Kendo UI Web controls with your existing ASP.NET MVC applications and improve the user experience of your apps. Hope you find this webinar useful and try our Kendo UI ASP.NET MVC Wrappers in your application too. Thank you so much for attending the webinar on Create Hybrid Mobile Application in 1 hour . I had great time presenting and interacting with each one of you. I hope webinar was useful and worth your time. How it is different from Native Applications? Expose data as OData and can work with OData in Icenium. Icenium allows you to work with HTML5 storage directly. Does Icenium support Windows Phone? Does Icenium support Enterprise Application Development? Icenium only allows you to create Cross Platform device applications at this time. What other datasource can be used other than SQL? In Hybrid Applications you can use any database. However, you will have to expose operations on database as service. Essentially, you will be consuming Services in the Hybrid Application. Can we use jQuery mobile instead of Kendo UI Mobile in Icenium? 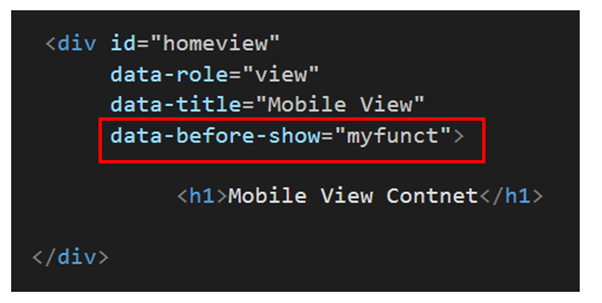 Yes, you can use jQuery Mobile instead of Kendo UI Mobile in Icenium. 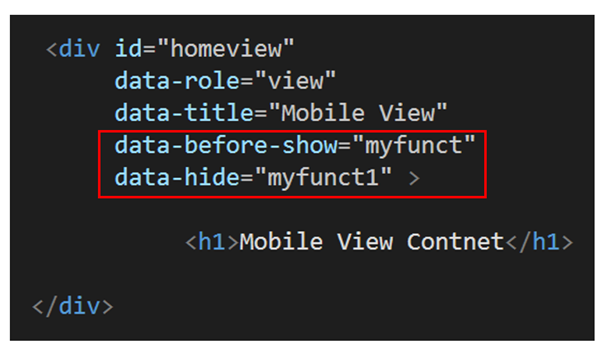 To work with jQuery Mobile choose the second project template while creating a new project in Icenium. Can you show a Login Screen implementation in Icenium ? You can authenticate user from data stored from local storage as well. Can we use ASP.NET WEB API in a Hybrid Application? 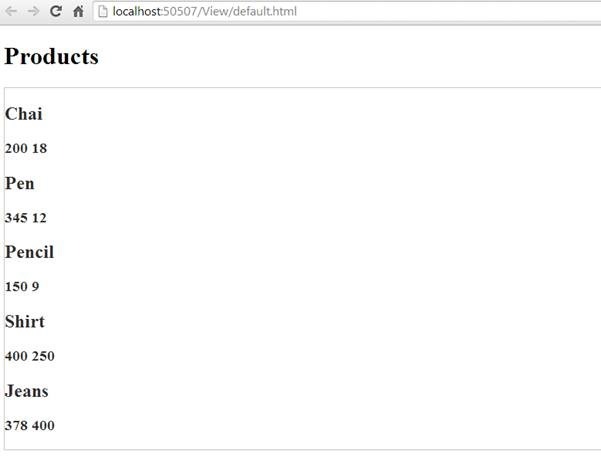 Yes you can use Web Api in the same way you consume a WCF REST Service. 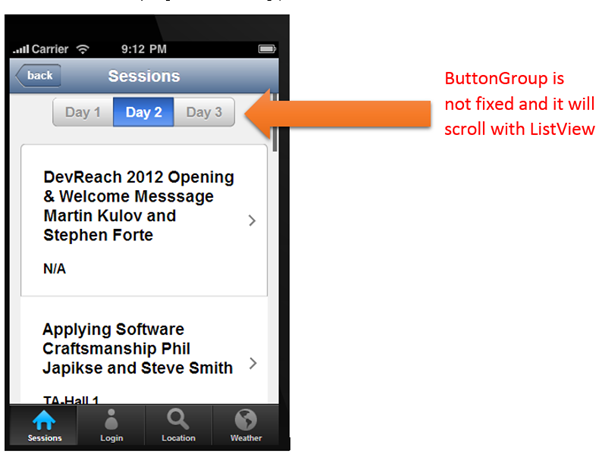 What is role of PhoneGap Here? Icenium uses Phonegap (aka Apache Cordova) to build and package applications for various platforms. Can we use SharePoint as Datasource ? In SharePoint 2010 and onwards you get OData feed of SharePoint lists. You can use them to create Kendo Data source. Can we work collaboratively on Icenium? Yes, you can. You can invite collaborators by right -clicking on project and choosing the option for Version Control. Can we directly deploy on device? Yes, you can directly deploy on multiple devices. Can we use Camera in Icenium ? Yes, you can access camera on Icenium using Phonegap API to access Camera. Once again, I thank you for attending the webinar. If you have any question feel free to reach me at Dhananjay.kumar@telerik.com . For update follow @icenium and @kendoui on twitter. Telerik India is conducting a webinar on “Hybrid Mobile Application Development “on 21st February 2013 from 3pm to 4 pm IST. Would you like to create a mobile application that can run on most of the mobile application platforms? From the same codebase? Come and learn with us of this amazing capability with the skills you already possess. We will go from nothing to a fully functional mobile app ready for the app store in an hour. 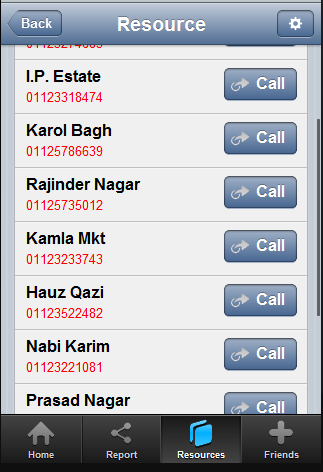 As you see that there is button in each ListView item and on click of the button you need to fetch the selected phone number to make a call. 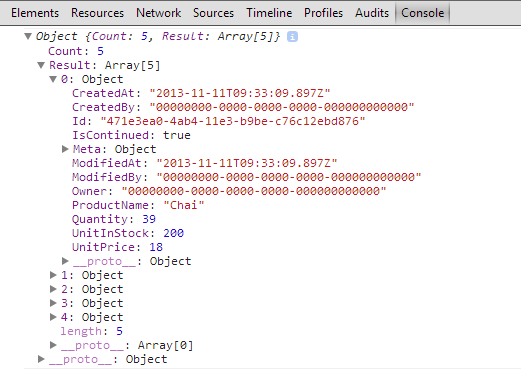 In above code snippet phonenumber and name is properties of the array set as the data source of the listview. For your reference datasource is as following. You can see that name and phonenumber are properties of the array used to create datasource. In this way you can fetch data of slecetd itm of KendoUI Mobile ListView. I hope you find this post useful. Thanks for reading.